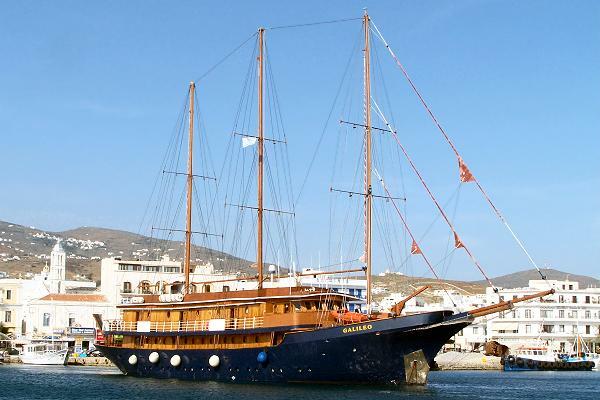 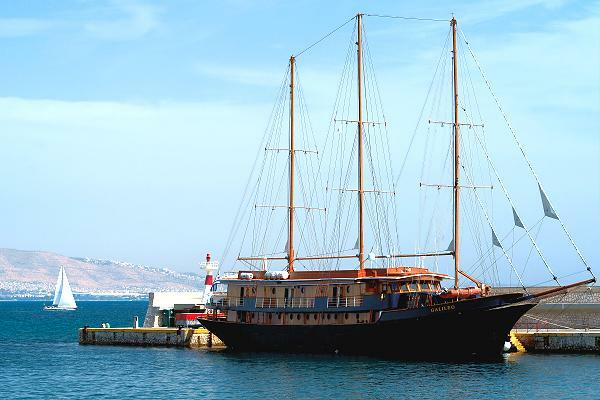 A classic steel hull motor sailer. 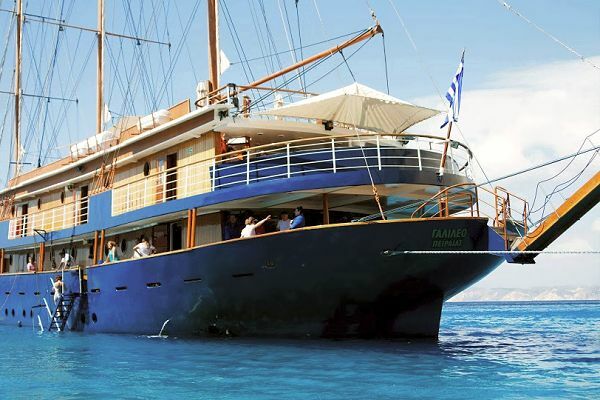 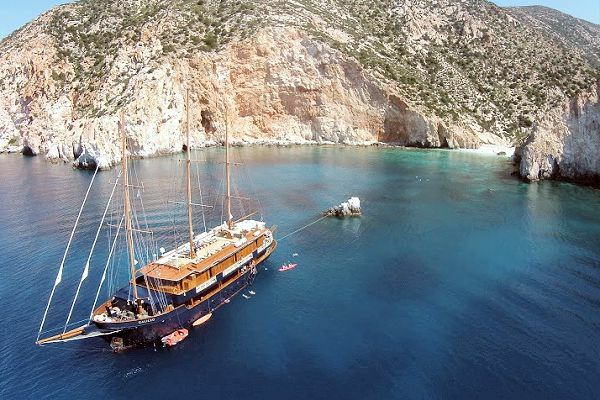 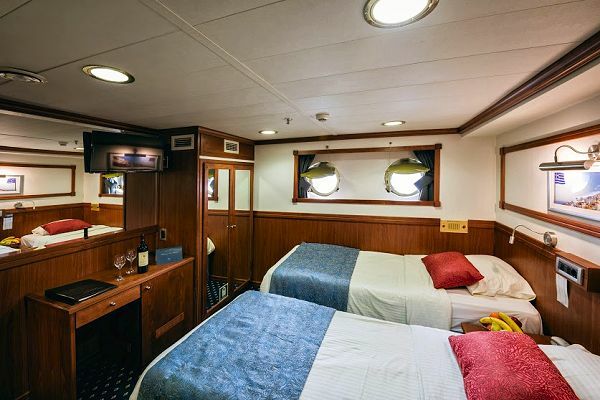 4 decks, maximum 49 guests in 25 cabins, 16-18 crew members, dining room & lounge bar area, outdoor bar & dining, sundeck with loungers & chairs, Internet & email service, TV & audiovisual system in lounge, kayak, snorkeling & windsurf equipment. 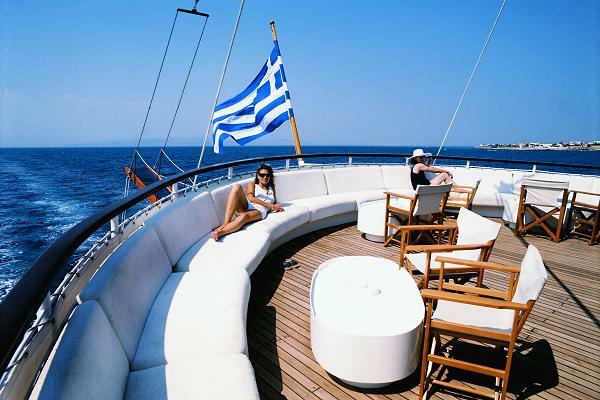 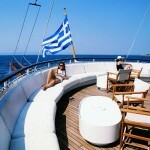 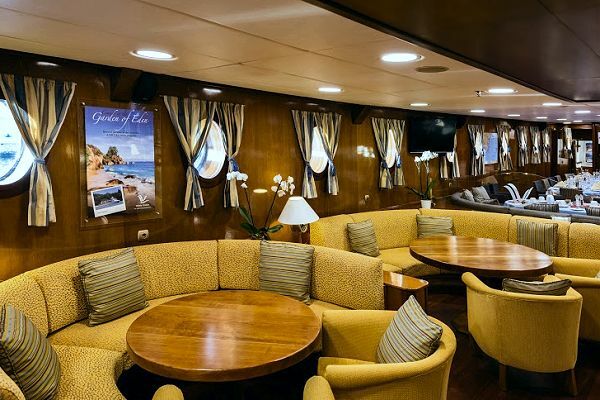 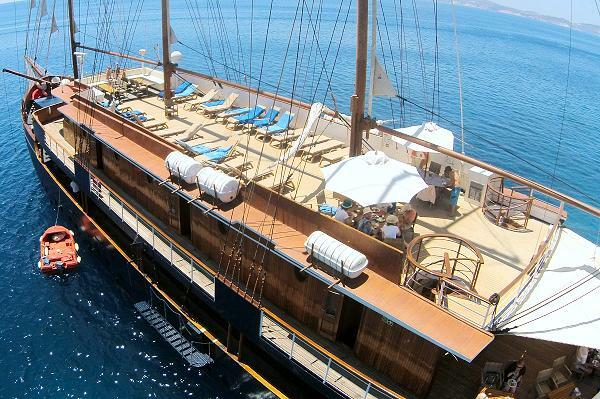 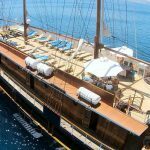 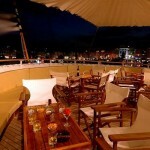 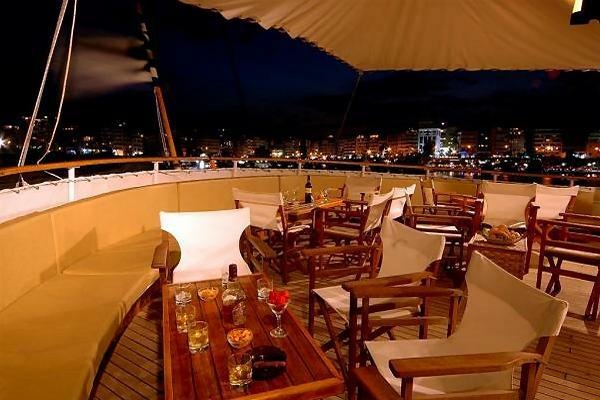 Guests on Galileo motor sailer enjoy the most the ship’s sun deck equipped with sun beds and deckchairs as well as the shaded outdoor deck area with an outdoor bar on the Upper deck. 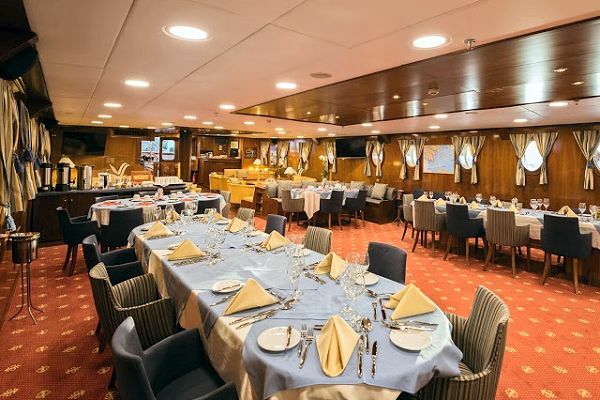 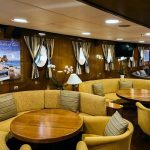 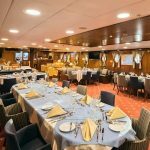 Also on the Main deck of the ship, the lounge area with a bar leads into a warm and elegant dining room finished with wood and leather. 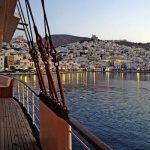 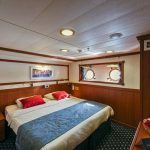 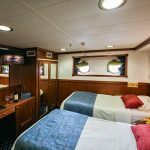 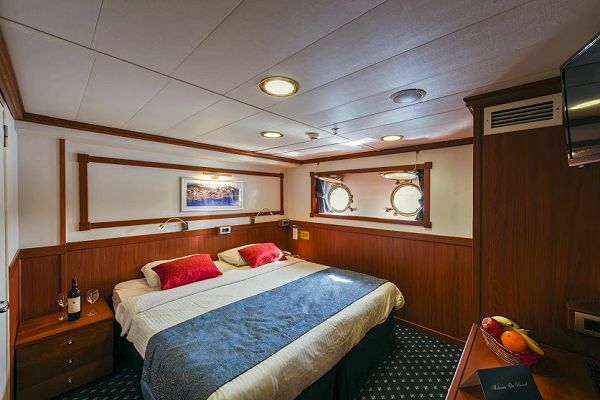 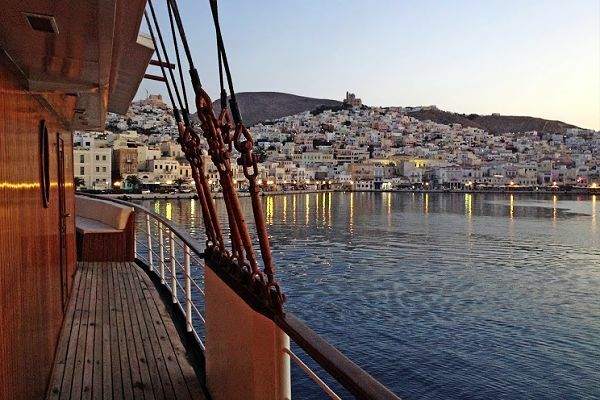 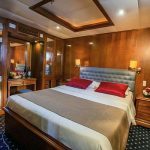 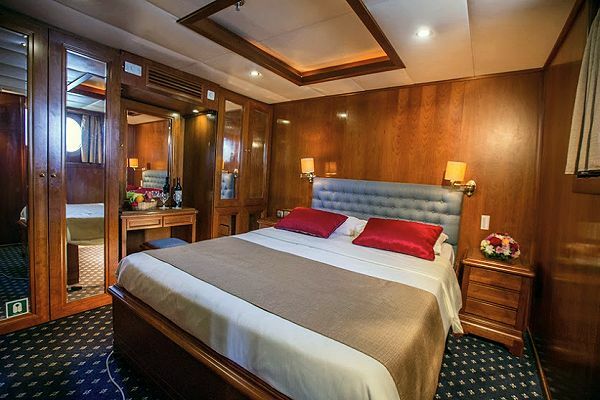 All cabins on the ship are outside ones and have en suite bathroom with shower, twin or queen sized beds, individually controlled air-conditioning, flat-screen TV, mini fridge, central music, telephone for internal use, safe deposit box, hairdryer, adapters (voltage: 220 V).